During 1999/2000, Central Trains took delivery of ten three-car diesel hydraulic diesel multiple units of class 170/6 (Nos.170630 to 170639). Running numbers being 50630 to 50639 and 79630 to 79639 for the driving cab ends and 56630 to 56639 for the centre cars. 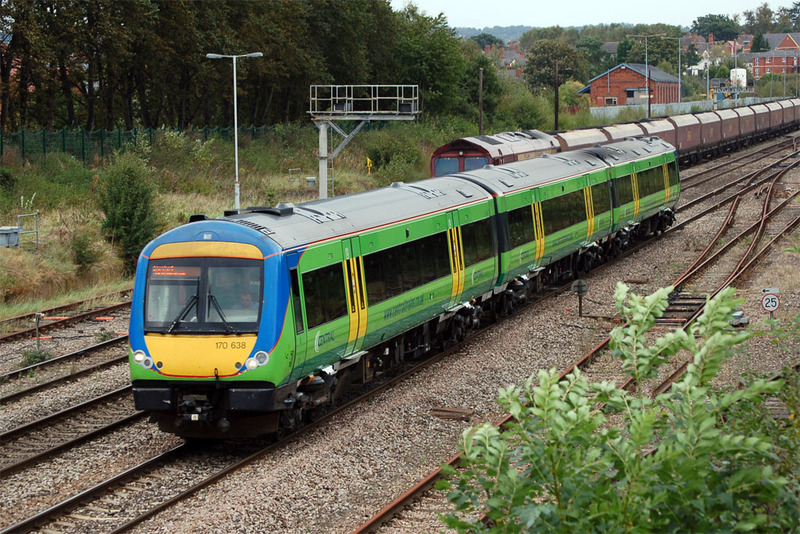 The units were based at Tyseley Depot and passed to the London Midland franchise (Nos.170631 to 170636) and Cross Country Trains (No.170637 to 170640) when the Central Trains franchise expired in November 2007. These units have similar mechanical characteristics to other sub-class 170s. Three-car class 170/6 diesel multiple unit No.170638 on a train from Birmingham New Street to Hereford passes class 66 No.66058 waiting to bank a northbound coal train up the Lickey Incline on 24th September 2007. Photograph by Andrew Smith. 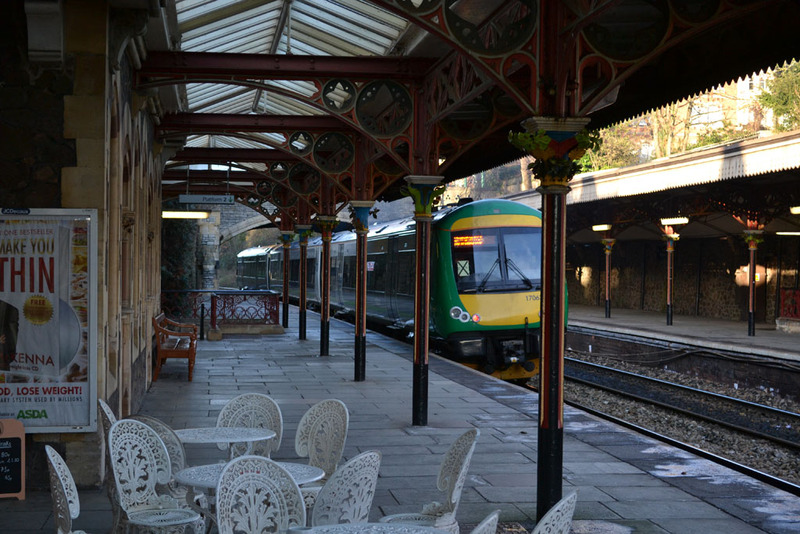 On 19th January 2011 class 170/6 diesel multiple unit No.176030 was at Great Malvern Station on the 14:40 service from Hereford to Birmingham New Street. Photograph taken by Andrew Smith.